I moseyed through a city park where military officers mixed nonchalantly with a mother, her child played with a red ball around monuments twin two-wheeled machine-gunners. 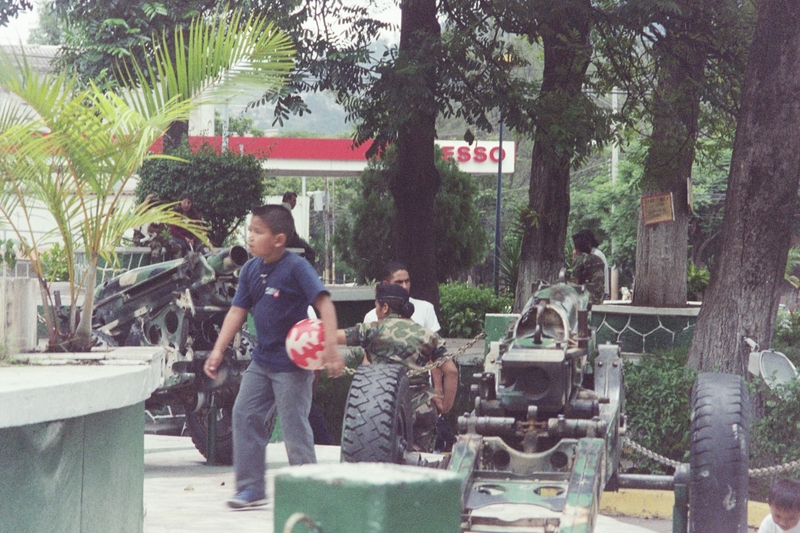 Honduras had no recent civil war to speak of like its neighbours. But for 100 hours in 1969, Honduras and El Salvador went to war in what would be called La Guerra de Futbol because it occurred while both countries also fought each other for a World Cup birth. 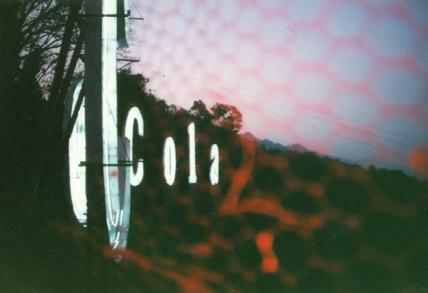 I noted white Hollywood-sized letters spelling Cola-Cola sitting precariously high up the mountainside overlooking the city. Coca-cola country. This is one Central American country that did not fight vigorously against American political influence; I wondered what set it apart from its brother-nations in that respect. 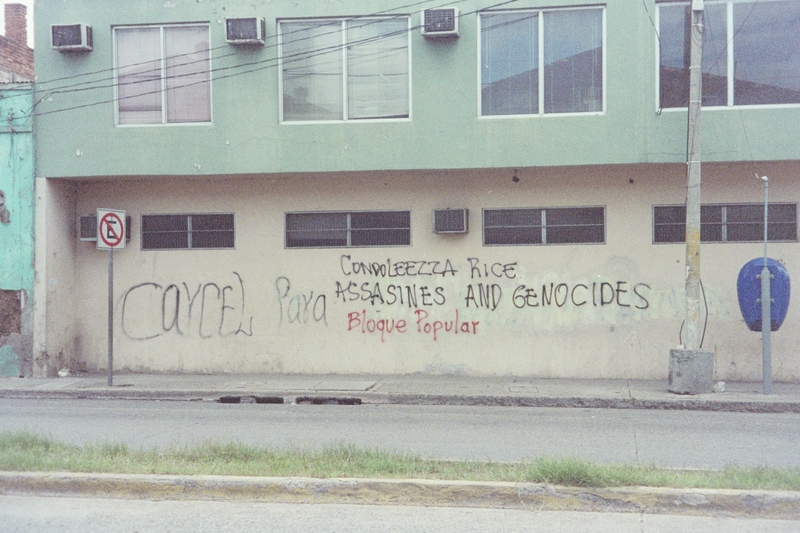 In any case, anti-Bush graffiti could still be found on busy Tegucigalpa streets. Nicaraguans and Salvadorans sometimes thought of their Honduran neighbours as “lazy and dim-witted,” according to lonely planet. I wouldn’t be in Honduras long enough to form much of an opinion. As I saw it, there were three next possible destinations: the Mayan ruins of Copan in the Honduran north, world-class scuba diving at the Bay Islands on the Caribbean, and the all-inclusive paradise of Belizean Caye Caulker. But when I saw an advertisement in the bus station, El Salvador joined the conversation. I would see worthy Mayan ruins in Guatemala and scuba-diving, with a three-day certification course, would take up a chunk of time, and although I had imagined windsurfing in Belize as far back as first-year university, the green back doesn’t stretch as so far there. I decided on El Salvador, a country, which I’d inquired about to many southbound travellers. Everyone had skipped it, meaning no word-of-mouth tips to go in with. Gallery | This entry was posted in Forget-Me-Not-Nations, Honduras, Journal and tagged Belize, Caye Caulker, El Salvador, George W. Bush, Guatemala, Hollywood, Honduras, Tegucigalpa. Bookmark the permalink.